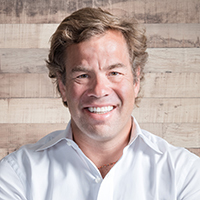 Brooks Entwistle is the Chief Business Officer for Uber, International, responsible for business development, corporate development and marketing. Brooks was previously a Partner and Chief Executive Officer of The Everstone Group, an India and South East Asia focused Private Equity and Real Estate investor. Prior to joining Everstone in 2014, Brooks was a Partner at Goldman Sachs where he spent 22 years in various capacities, including 15 years based in Asia. Most recently, he was Chairman of Goldman Sachs South East Asia as well as CEO of Goldman Sachs Singapore. Prior to this, he spent 5 years in Mumbai as CEO and Founder of Goldman Sachs India where he was responsible for leading and building the firm across all divisions. He also served as the Founder & Co‐Head of Goldman Sachs Asia’s High Technology Group. Earlier in his career, Brooks served as a District Electoral Supervisor with the United Nations Transitional Authority in Cambodia (UNTAC). Brooks holds an AB from Dartmouth College and an MBA from Harvard Business School. He is currently a Board member of the Aspen Institute, The Asia Foundation, EmancipAction and Young Life. Brooks is a Henry Crown Fellow in the 2007 Class and a member of the Aspen Global Leadership Network.